At the Hundred Islands Nature park in Pangasinan, there are 123 Islands at high tide and an extra rock-of-an-island at low tide. 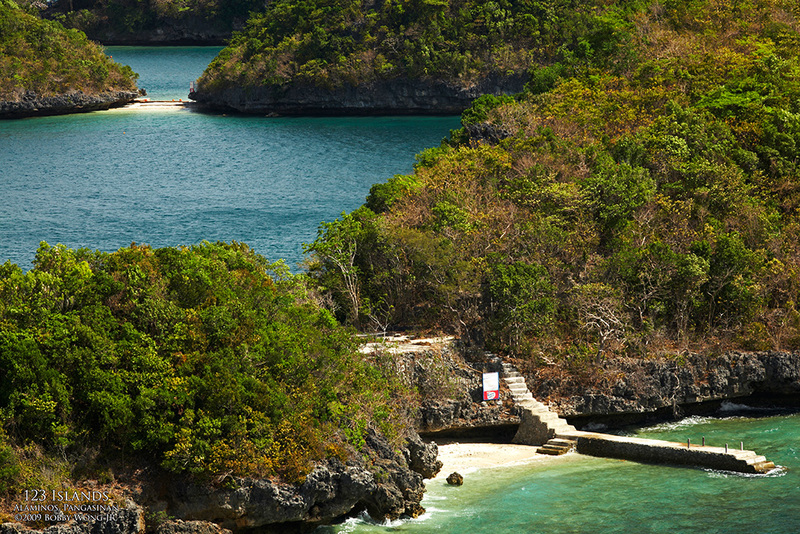 Not all the islands have white beaches but most of them can be explored on foot. Each island has a name and a unique feature, whether a cave, white beaches, or high vantage points to see the rest of the park. Enjoy. I am hankering to go back home to the Philippines! How much can be captured in a single frame? Just see this masterpiece..!! Your wonderful photos made my day. I am going back to the Philippines this December for my Golden Jubilee - high school reunion... in Dagupan City. One of my side trips I scheduled is to visit this place. Thanks for the lovely pictures you shared with us. I have been in this place and only in the Philippines you can see beautiful islands located side by side and scattered like small hills and big hills. such a beauty to see. wow! ganda talaga. i've been in this place.